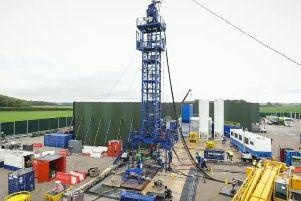 The latest legal challenge against fracking at Cuadrilla's controversial Preston New Road site in Lancashire is set to be heard at the High Court. Friends Of The Earth claims the Environment Agency (EA) failed to ensure that the best available techniques are being used to reduce the environmental impact of fracking at the energy firm's site in Little Plumpton. The environmental campaign group argues that the EA should have considered the use of other techniques which could produce less contaminated waste fluids when it considered Cuadrilla's permit application in December 2017. At a hearing in London on Thursday, Mr Justice Supperstone will be asked to rule on Friends Of The Earth's action. In a statement ahead of the hearing, Friends Of The Earth campaigner Tony Bosworth said: "All along, the Government stated that gold standard regulation would make fracking OK, but we believe our case, and the reality of what's happening at Preston New Road, shows the opposite. "They should be putting in place the best possible regulation to ensure that people and the environment are protected. "How can the Government be considering rolling fracking out across the country when it can't be properly regulated at even one site? "Isn't it time the Government gives up on fracking and backs renewables instead?" Hydraulic fracturing, known as fracking, is a process to extract shale gas whereby rock is drilled into and "fractured" before water, sand and chemicals are pumped into it to release gas. Supporters say fracking could help provide greater energy security for the UK, but critics warn the process can trigger earthquakes and pollute water supplies. 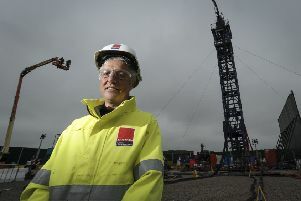 Cuadrilla's Preston New Road site in particular has featured in several recent court cases. In October, three anti-fracking protesters who were jailed for causing a public nuisance by climbing onto lorries at the site were freed after the Court of Appeal found their sentences were "manifestly excessive". Earlier the same month, Lancashire resident Bob Dennett unsuccessfully tried to get a High Court injunction to block Cuadrilla from fracking at Preston New Road. And this January the Court of Appeal threw out a claim by the Preston New Road Action Group that the Government's decision to approve fracking at the site was unlawful. Cuadrilla began the fracking process at Preston New Road in mid-October and announced earlier this month that shale gas had begun flowing at the site for the first time. The company, however, has twice been forced to halt operations after underground tremors were detected.